Heather normally updates our blog, but since the title of this post is Father's Day Weekend, we thought it would be appropriate for me (Drew) to create a post. My parents came up for a visit, and were so kind to watch Luke while Heather and I went on a date for a belated 2nd anniversary celebration on Saturday afternoon. Our last date was in January for Heather's work party, so this was long overdue! We watched Toy Story 3 in 3D and then went for an early dinner at the Mansion at Judges Hill. Toy Story 3 was great and it may be my new favorite Pixar movie. I would highly recommend it to anyone (children or adults). It was nice to just be able to spend some quality time alone with Heather. Don't get me wrong, we love spending time with Luke--it has just been so long since we have been able to focus our attention on each other. We also got to fit in a little bit of dessert at our favorite place for that--Chez Zee. 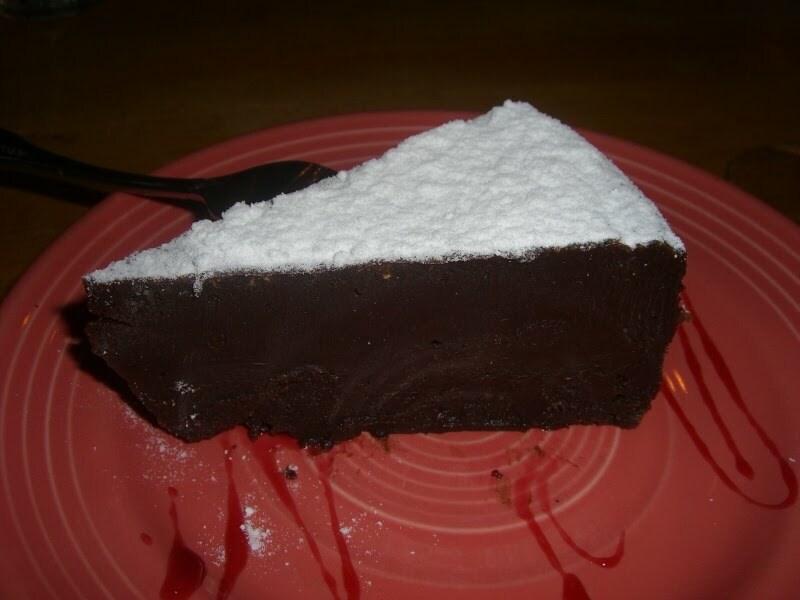 Our favorite dessert there is the Mocha Fudge Torte. At church on Sunday, Father's Day, it was the first time that we put Luke in the nursery at church. He did really well in the nursery and we enjoyed being able to focus on the service. After church, we ate some lunch and walked around the Domain with my parents. It was great to be able to spend my first Father's day with my son and my dad. We snapped some pictures once we got home to remember my first Father's Day. A couple of weeks ago we received something in the mail from Snapfish advertising Father's Day gifts. I had made a comment about the coasters they advertised and how I would like to have some of them. So, Heather surprised me by creating a personalized card and coasters for Father's Day.